After what can only be described as a groundbreaking 2018, we're back for another mind melting centre of the room display. This time, we welcome everyones favourite Manchester duo - Solardo, into the box. Expect a high energy, high octane performance that only these two are capable of providing. 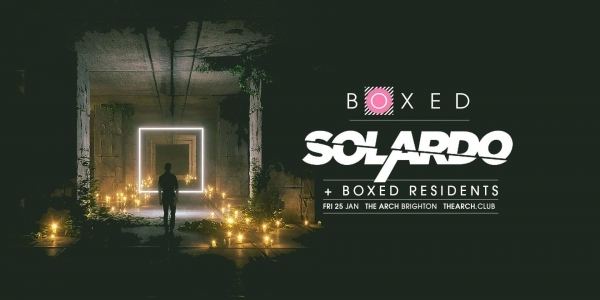 Boxed is a series of immersive club nights, which provides a 360 degree spectacle of the artists it showcases by bringing the DJ booth into the centre of the dance floor to redesign the relationship between DJ and raver in a full range of kaleidoscopic sounds and visuals. With a firm focus on the music, Boxed residents and headliners are hand picked and carefully curated to provide a diverse and engaging range of sound waves across multiple rooms for your dancing pleasure.